- We are also doing development job for minimax zonal cards, power supply’s. - Periodic maintenance job for fire call systems, smoke, gas, heat detectors. Complete solutions & services of CCTV surveillance (Night / Day vision) cameras, Dome cameras, DVR's, Audio / Video auto sequential switcher. Attendance machines, Access control systems, Proximity / Smart & Biometrics cards. Video / Audio door phones, Mobile jammers etc. 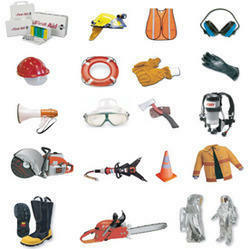 The Company has most advanced and accurate equipment available for carrying out the work with accuracy. We use Auto Level, Total Stations, GPS, DGPS and Echo-sounders for carrying out geodetic survey tasks. A complete line of packaging equipment installed and serviced by our trained technicians includes case sealers, stretch wrapping, shrink wrapping, bagging equipment, banding equipment, strapping equipment, air pillow and paper void fill equipment. Prestigious lines such as: Lantech, 3M-Matics, Sealed Air, Arpac Shrink Equipment, Aetna’s Robopac, Sharp Auto Baggers, Signode Banding Equipment. We help equip people with the cleanest form of power, solar energy, thereby minimizing their energy costs and providing 24-hour electricity. We own Fleet of trucks /tippers, Turbo trucks, Trailers, Front End Loaders, JCB & L&T Excavators, Poclene, Cranes, Forklifts, Spreaders, Hydraulic Grabs for discharging bulk cargo efficiently and all kinds of gears to handle any types of cargo. We also own Mechanised Sailing Vessels & Motor Tugs. The mission headquarters has a two and half storey building: ground floor 625 sq. ft. (one front room + one hall in back), first floor 625 sq. ft. (one front room + one hall in back), second floor 182 sq.ft. (one room) and two bathrooms. Having and using the most innovative equipment in the parking industry allows us to increase our efficiency and our ability to provide the best customer service possible. we are registered with the directorate general of shipping as safety equipment service station for servicing / testing of lifeboats, its launching appliances and on load release gear as required by solas convention and msc. 1/circ. 1206/rev. 1. Columbia Institute of Sleep Medicines Pvt. Ltd.